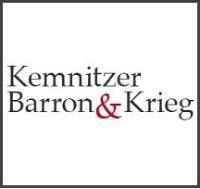 At Kemnitzer, Barron & Krieg, LLP, we are well-known for righting the wrongs perpetrated against car buyers. From our law offices in Los Angeles and throughout California, our attorneys have exercised the California Lemon Law and other consumer protection laws to bring justice to thousands of individual clients. More than a million class members have benefited from our representation in class-action lawsuits. Our law firm features trial attorneys. We recognize that trial is always a possibility that must be prepared for. However, in most cases, it is our reputation for success at trial that gives us leverage in our efforts to settle cases in California state and federal courts. Our team also includes noted appellate attorneys. In fact, the results of our appeals have helped shape the legal landscape for car owners and buyers. With more than 30 years of experience providing consumer protection services to car owners statewide, we truly know the law. The partners at KBK legal - Bryan Kemnitzer, Nancy Barron and William Krieg - were among the first in the state to bring private lawsuits to enforce the consumer protection laws such as the California Lemon Law. We will pursue justice on your behalf. Did you buy a new or used car, only to learn that it is defective? This happens to many buyers of cars, trucks, motorcycles, recreational vehicles and boats, often by sellers who know about the defect. Our lawyers take action against sellers in these cases. Maybe the car is under warranty or a certified used car. Whatever the case may be, you have options. Did you learn that the car was a salvage title or previously used as a rental vehicle, but the dealer did not disclose this? Let us help. In some cases, the problem is not with the car, but the transaction itself. We stand up for the rights of people in cases involving title loan problems, unfair debt collection and vehicle repossessions, and other vehicle finance problems. Our experience has shown us the damage caused by car fraud and deceptive automobile lending. We work hard to clean it up. Did the bank attempt to repo your vehicle wrongfully? Has it failed to give post-repossession notices as required by law? Were you asked to pay for a deficiency the bank had no right to collect? If you think you have been wronged in any way during your vehicle transaction or in relation to your car loan, you have the right to enlist our experienced attorneys.